Orland Park Family Law Attorney | Johnson & Johnson, Ltd. Trusted Orland Park family law attorney. Your family is probably the most important part of your life. Often, decisions that involve your family may be quite emotional and complicated. Guidance from an experienced Orland Park family law attorney will provide you with the information needed to make difficult choices. It is essential to have all the facts available to you so your choices will be the best ones for you and your family. Count on the expertise of Johnson & Johnson, Ltd. to provide you with the answers and guidance you need during a difficult and stressful time in your life. It is essential to take care of any issues properly yet you want to make sure that your rights are protected and that any decisions are made with your best interests in mind. 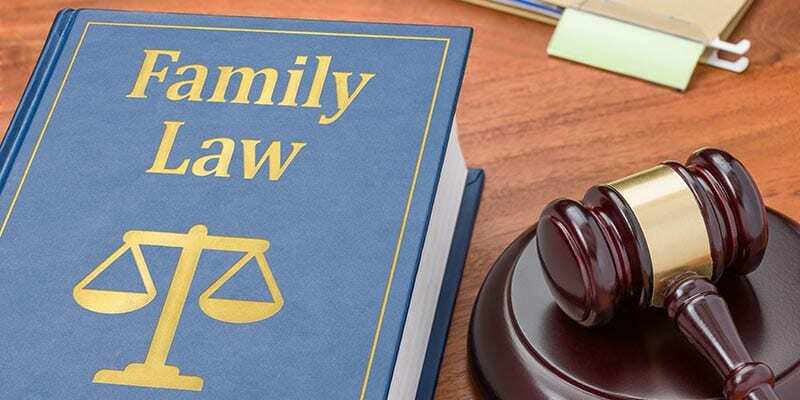 Whether you are going through a contentious divorce, are seeking to adopt a child, or want to gain legal guardianship of a minor, it is helpful to get help from an attorney who focuses in family law. These situations can be complex and often cannot be resolved on your own. An attorney with expertise in family law will help you resolve the situation as quickly as possible. Family issues can be stressful. A knowledgeable Orland Park family law attorney knows the latest legislation and understands the laws that govern family law in your area. Your attorney will review your situation and provide you with the options available to you. As with most family-related issues, time is of the essence. Speak to an attorney as soon as possible. If you are in a dangerous situation, immediately contact the police and ensure your safety as well as the safety of your children. Your attorney will assist you in making the important decisions you are facing. The decisions you make today will have a long-lasting impact on you and your family. Emotions can run high when family issues arise. The best solution is one that protects your rights while still being fair to the parties involved. It is often necessary to work to resolve issues with your partner. Your attorney is often a good resource in helping you get a satisfactory resolution. In some cases, mediation may be necessary. When a solution is not forthcoming the matter may need to be resolved in court. Your attorney will represent you throughout the process and is dedicated to ensuring that you get the best results possible. It is imperative that you choose a skilled Orland Park family law attorney to represent you for your legal matters. Depend on your lawyer to serve as a buffer to relieve some of the stress of the situation. The process begins with an initial consultation. During the consultation you will meet with an attorney and have the chance to get answers to important questions you may have. Your lawyer will always protect your rights and make sure that you are properly informed before making decisions. At Johnson & Johnson Ltd. we take pride in offering our clients the best representation possible. We care about you and work hard to guide you through the process to a successful conclusion. We are passionate and work tirelessly as your advocate. Contact the competent attorneys at Johnson & Johnson, Ltd. to schedule a consultation.